DasIstCasino Review: Get €3500 Bonus + 250 FREE Spins! 74% of new players recommend this casino 42 new players chose this casino today! DasIstCasino Review: Bonuses, Games and More! 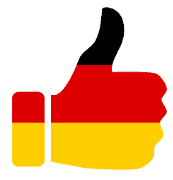 Made in Germany, this online casino opens its doors to Germans and international players alike. The German theme makes DasIstCasino’s concept unique, while its variety of games and bonus offers match other high-ranking casinos on the market. DasIstCasino is committed to offering new players a unique online casino experience, starting with a generous set of deposit match bonuses! As a new and improved reward for new players DasistCasino is giving away a grand total of €3,500 (or other currency depending on your country of residence or preferred method of payment)! How do you claim it? The key to accessing this incredible offer is to make three deposits, across which you can claim thousands of bonus cash in addition to your bankroll. As soon as you make a first deposit you can claim 100% up to €1500 or the same amount in USD. The bonus is also available in 90.000 RUB and 1.5 BTC depending on location and your account’s currency. In addition to your bonus cash you will also receive 100 free spins to play on the colorful reels of popular games like Domnitors, Slotomon Go, and Platinum Lightning. The spins are available for a total of 14 days once you complete three-day activation period. At this point your account is topped up and ready to use for a wide variety of casino games. Once you run out there are even more cash bonuses and free spins available, the details of which are covered below! Collect 100% up to another €1000 or USD (60.000 RUB or 1BTC) for both your second and third deposits made as a new player! In addition to more cash for your next two deposits, you get 75 free spins each time to play the same slots mentioned earlier. In total, you can claim another 150 free spins to play the same incredible real money slots. Once you create an account, the adventure at DasIstCasino continues! Embark on a journey across Germany and collect bonuses as you unlock different territories. The way this feature works is that as you play your favorite games you can collect points and unlock German states from Niedersachsen to Bayern. Each state you visit will give you a cash bonus or some free spins, and once you travel throughout the entire country you will be rewarded with a massive prize. To unlock the mystery bonuses, make sure you sign up and play! Whether its video slots, progressive jackpots or live table games you’re after, DasIstCasino has it all. While its collection of slots may be missing a few big titles we would have liked to see, they more than make up for it with plenty of lesser known gems you are sure to love. DasIstCasino has an impressive collection of slots games including Mega Boy, Jackpot Rango, Diamond Wild and Tycoon. Their games are divided into progressive jackpots and fixed jackpot games, and among the progressives you can find pots as high as €25,000! You can also enjoy plenty of classic casino games at DasIstCasino, including baccarat, American or French Roulette, as well as multiple poker games including Caribbean Poker. Their selection of blackjack variations is quite remarkable, including 21 Burn Blackjack, Super 7 Blackjack, American Blackjack as well as Blackjack Surrender. Video poker fans will also be delighted to hear that there are plenty of games available with big names like Deuces Wild and 10s or Better. If you’re after the excitement of live casino games, DasIstCasino won’t disappoint you, since DasIstCasino members can enjoy several live roulette and blackjack tables. DasIstCasino is directly accessible through your web browser, so there is no need to install any casino software or any plug-ins aside from the latest version of Adobe Flash. Just go to their website, log-in and continue placing bets! It is just as easy to play from your portable device thanks to a mobile friendly version of DasIstCasino that is available through your Android, iPhone or even Windows phone. The responsive and fully functional platform also lets you play demo versions of all games, so you can test this before signing up! You can contact DasIstCasino with any questions or feedback through their online support service, which is available 24/7. You can choose to send an email through the contact form available on their site, or you can immediately speak with a customer service representative via live chat without interrupting your game! The live chat icon can be found at the bottom of every page. With plenty of games, both common and some not so easy to find, DasIstCasino is an interesting online casino well worth checking out. With quick customer support and crystal clear terms and conditions, DasIstCasino is refreshingly transparent about their rules and conditions. This coupled with a great bonus for new players is why we would definitely recommend this online casino! There are many deposit options on DasIstCasino. You can choose the most convenient one for you.